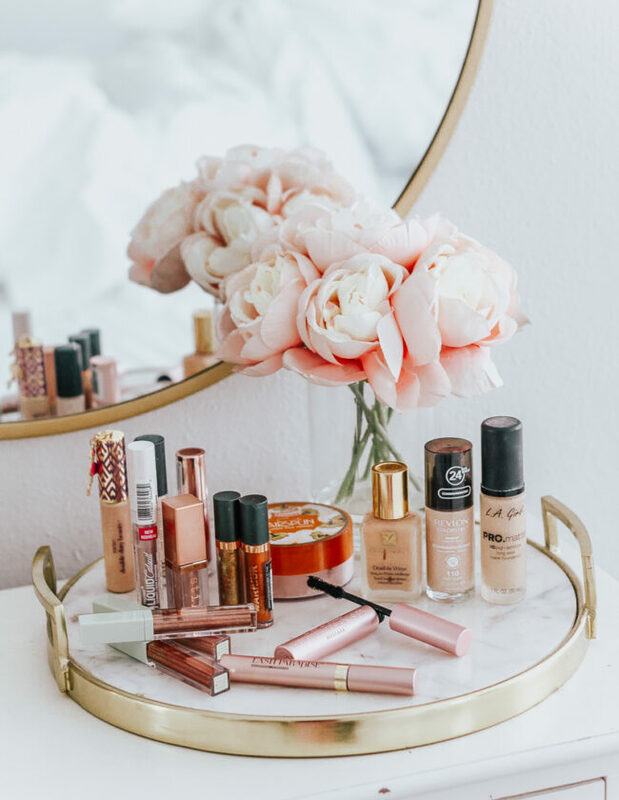 Taking a break from holiday coverage for a sec… I wanted to share the 9 best beauty products I’m using right now9 . I TOTALLY get bored with my beauty routine and am always looking for new ways to mix it up. Luckily, in this job, I always have access to new, fun products so I can try new things all the same. This one’s an oldie but a goodie and a total no-brainer. When I first decided to get a Naked palette, I was initially going to scoop up the Naked 3, because I love the way the rose gold shades look on my skin. When I really looked at it though, I felt like the 3 was a little TOO pink, and really liked the taupe shades of the 2. The taupe shades are universally flattering and work for any occasion. For everyday, I use Bootycall on the lid and on my waterline and Tease in the crease. These Stila All Day lippies have amazing staying power and come in a variety of deep, rich colors. They have great pigmentation! I got this mascara in a BoxyCharm box a few months back and love it! It makes my lashes look really full and long. I’m into it! My younger sister started using the Neutrogena Nourishing Long Wear foundation after her derm told her she really needed to switch to a non-comedogenic foundation, and after running out of my own foundation, I gave hers a try and LOVED it! It’s really lightweight, offers great coverage, and didn’t look chalky or cakey. Plus, it’s good for your skin. I was pleasantly surprised at how long it lasted. 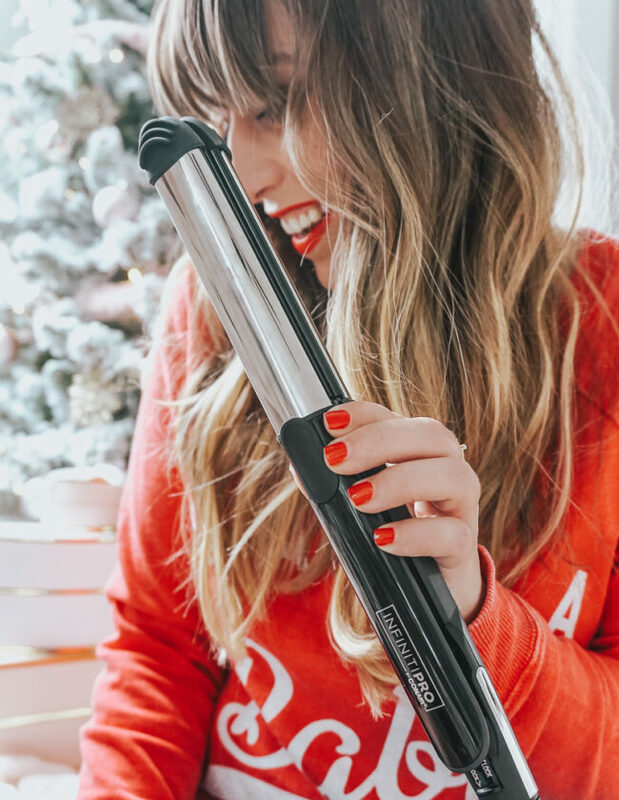 THIS is the Holy Grail of curling irons, and the curling iron I ALWAYS use. It’s also the go-to curling iron hair dressers use both in salons and on-set. Tip: to get loose beach waves, hold the iron vertically and wrap hair away from your face. I am obsessed with the Dr. Brandt Microdermabrasion. It smells lemony and makes my skin feel amazing. Three uses of the product yields the same results as an in-office procedure. It is a definite staple product! I can’t sing the praises of the Benefit They’re Real liner enough… it’s truly a game-changer! The liner is long-lasting and application is a snap. Definitely the perfect tool to nail the cat eye!